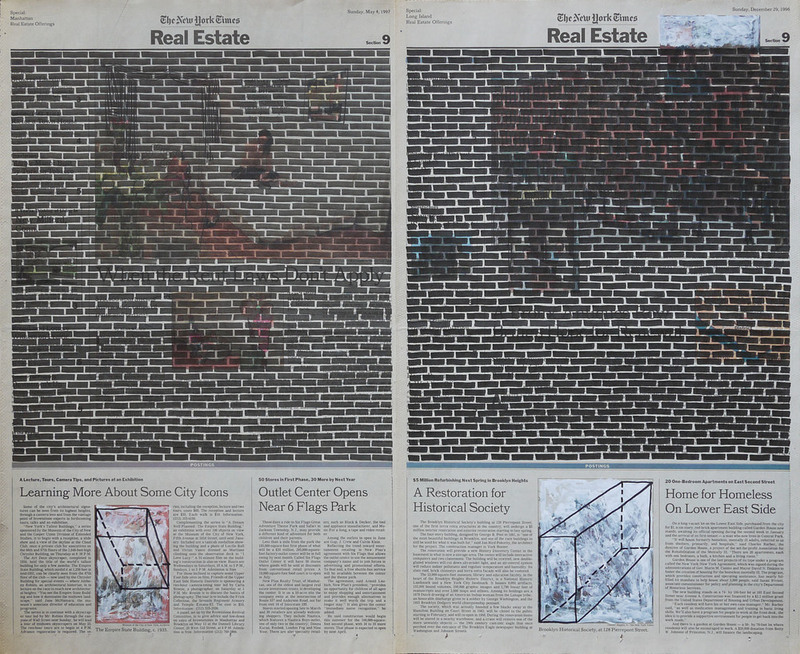 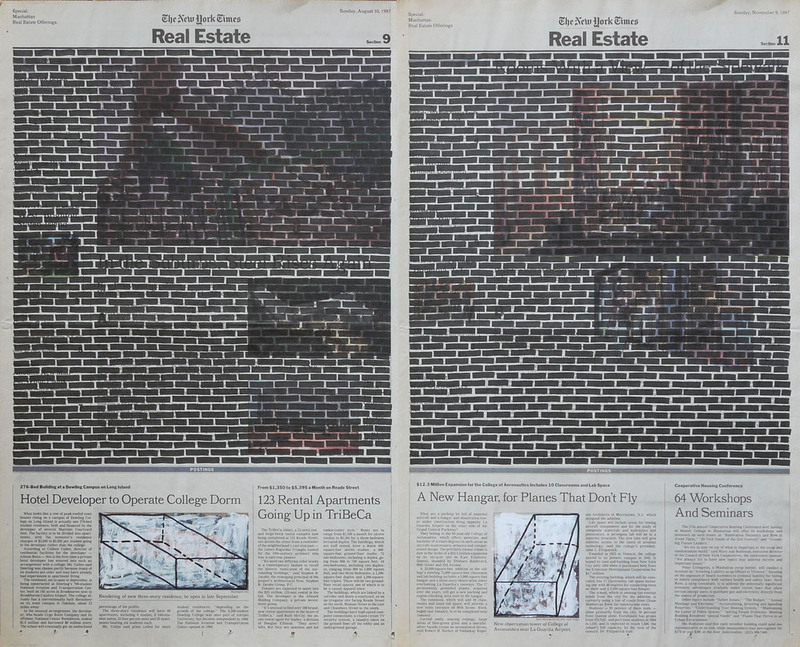 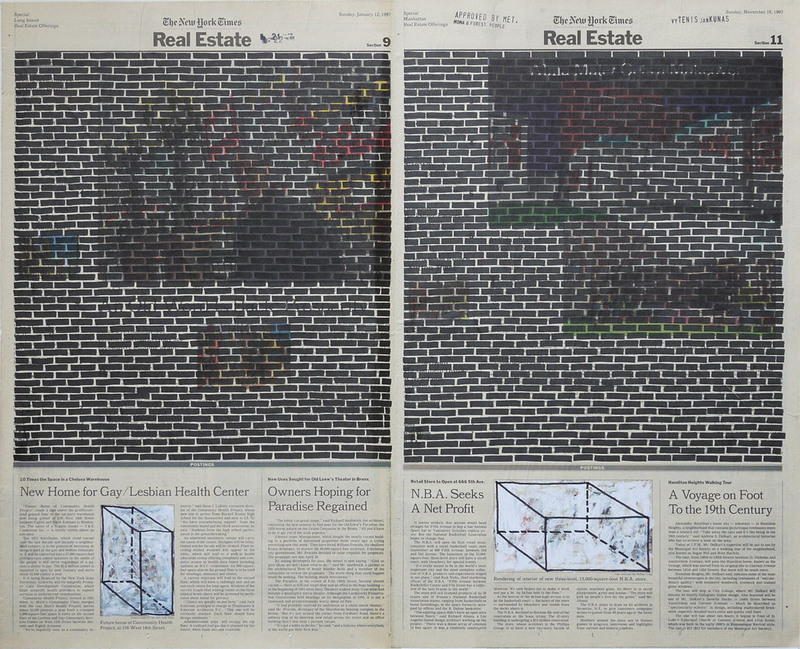 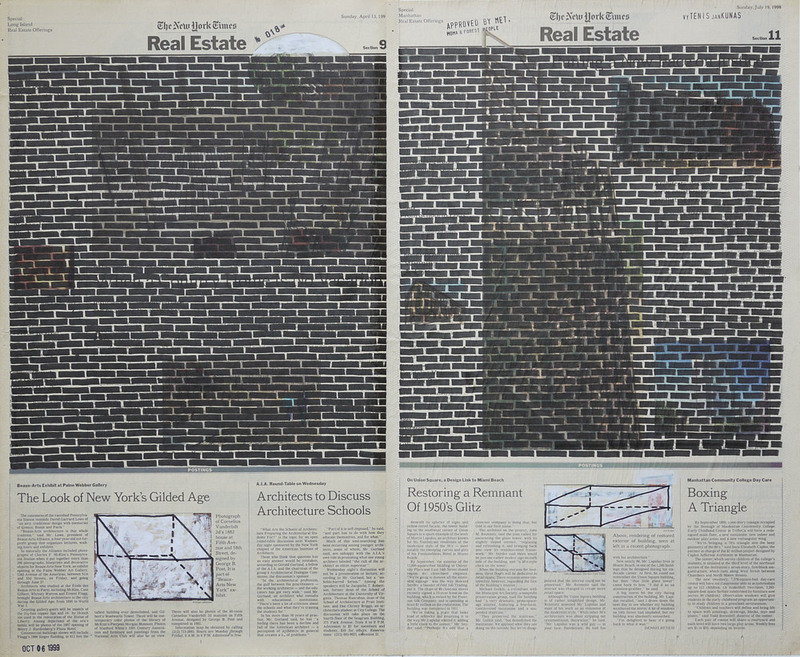 Real Estate, composite view, 1999. 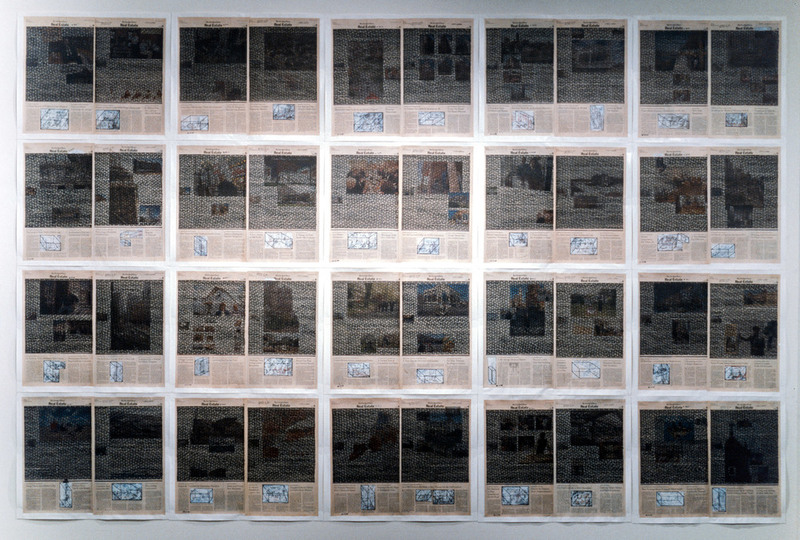 Permanent markers and correction fluid on newspaper mounted on canvas. 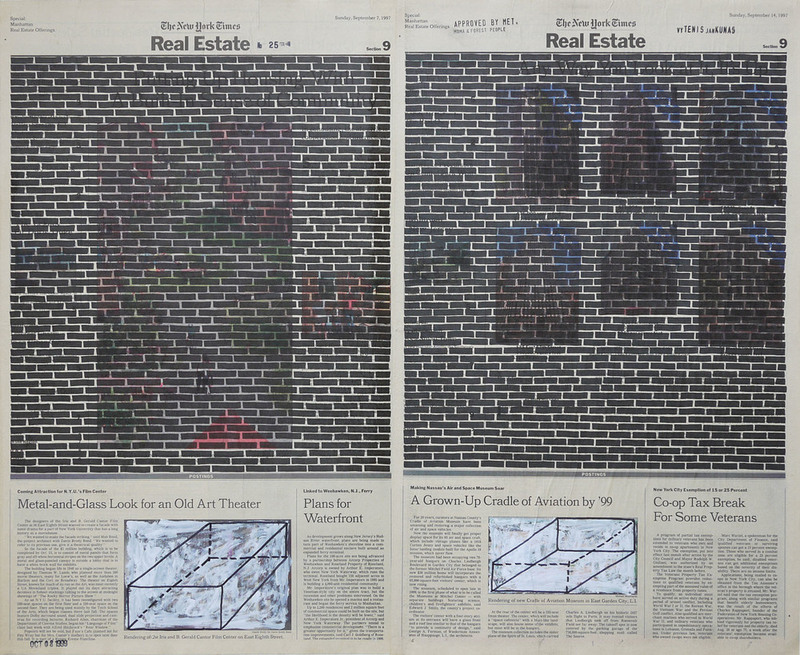 Real Estate, 1999. 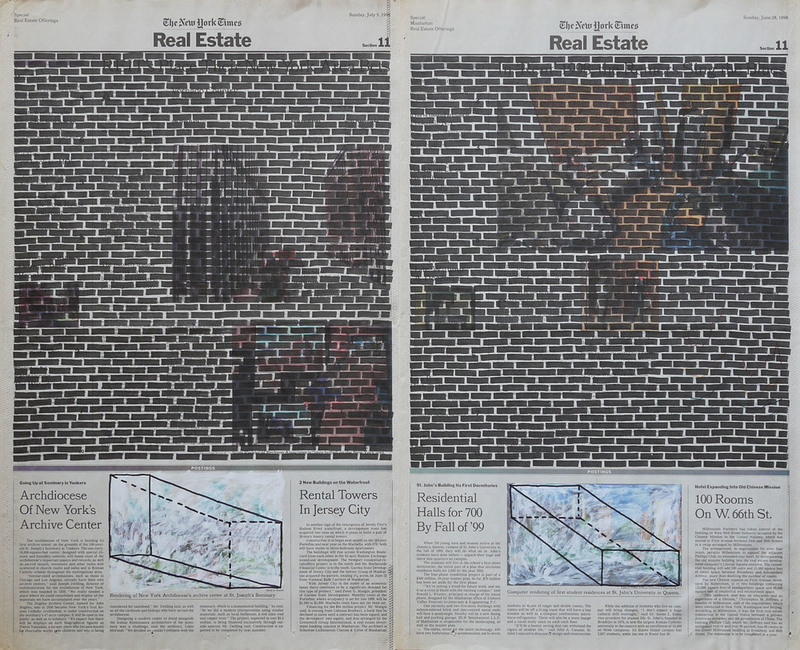 Permanent markers and correction fluid on newspaper mounted on canvas.